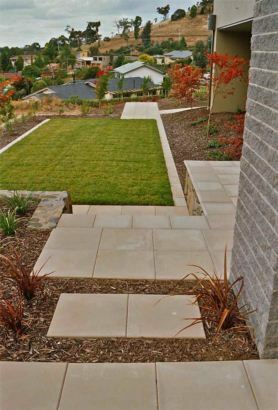 With the original home destroyed in the Canberra bushfires of 2003, the new house offered opportunities to connect the immediate surrounds & the distant views. 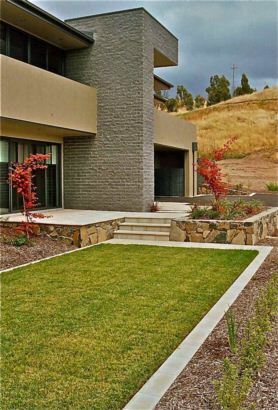 The structural landscaping on this large & steep block links the house with entertaining areas, pool & tennis court. 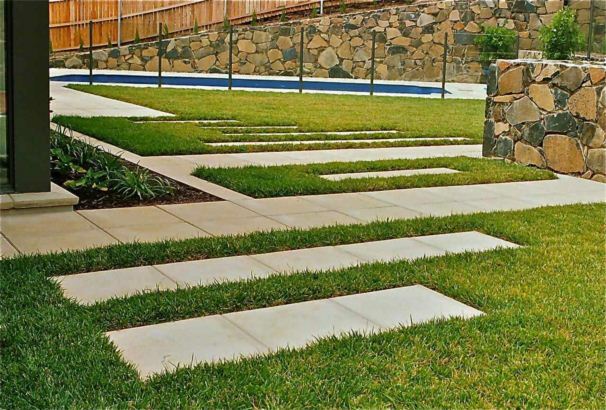 The soft landscaping will restore privacy, provide shelter & frame the wonderfull oiutlook. 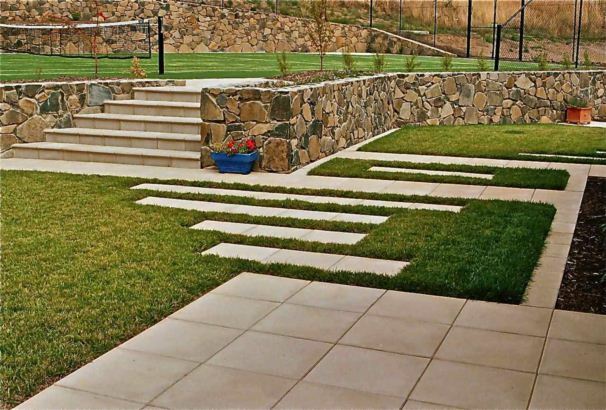 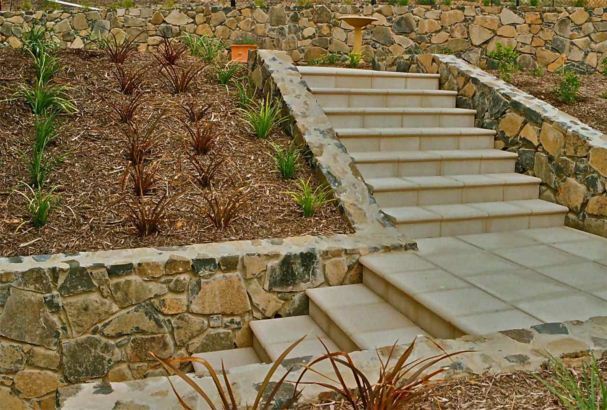 Extensive Nimitabel ‘mortared style’ retaining walls by ‘MJ stonemasons’ feature on this ‘ABC landscaping’ constructed garden.